Collectors can always count on UD cards at the Fall Sport Card & Memorabilia Expo, and the 2017 Upper Deck Fall Expo Hockey set adds a promotional element for yet another season. Split into several different groups, each with their own stipulations, the main 2017 Upper Deck Fall Expo Hockey checklist centers on purchasing specific 2017-18 UD Hockey hobby boxes at the show. Collectors can earn one 2017 Upper Deck Fall Expo Hockey pack by buying a hobby box of 2017-18 Upper Deck Series 1 Hockey (which releases just in time for the event), 2017-18 Upper Deck Artifacts or 2017 Upper Deck Team Canada World Juniors. With two cards per pack, possible options inside include the 2017-18 Upper Deck Series 1 Midnight parallels for cards #1-200 from the UD1 base set. These are numbered to just 25 copies. The limited Parkhurst Priority Signings covers stars and top rookies. 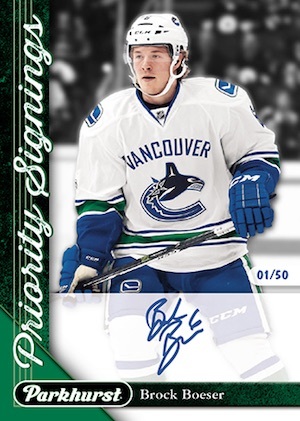 In addition, the UD Victory Black Rookies insert provides the first 12 cards in set. 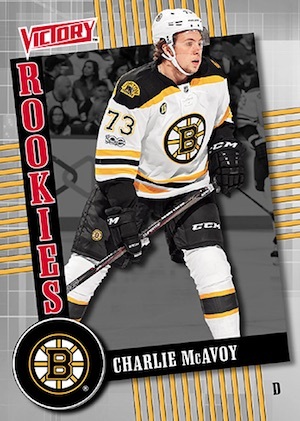 The list grows by 10 more cards in the 2018 Upper Deck National Hockey Card Day release in March. Awarding UDA memorabilia at the show are the Instant Redemption cards. 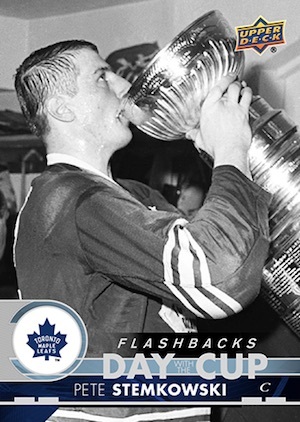 A separate promo offers a Toronto Maple Leafs Day with the Cup Flashbacks set. This six-card pack is obtained by purchasing two hobby boxes of 2016-17 Fleer Showcase, 2017 Toronto Maple Leafs Centennial or 2017 Upper Deck Team Canada World Juniors. Those who break a case of 2016-17 Fleer Showcase (12 boxes) or 2017-18 Upper Deck Artifacts (10 boxes) earn three of the main wrapper redemption packs, a full Cup Flashback set, and one Parkhurst Priority Signings Exclusives card (in single-player or dual form) or an autographed memorabilia item. 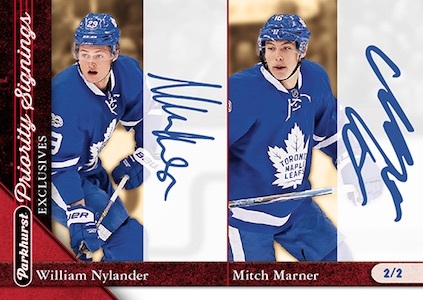 Complete information for the 2017 Upper Deck Fall Expo Hockey promo cards and other UD events can be seen at Upper Deck's blog. Occurring from November 10 to 12, the 2017 Fall Sport Card & Memorabilia Expo goes down at The International Centre in Mississauga, Ontario. Visit the official Expo website for full details about the show. 200 cards. Serial numbered #/25. 36 cards. Serial numbered #/25. 18 cards. Only for case promotion. 6 cards per set. Part of separate wrapper redemption.